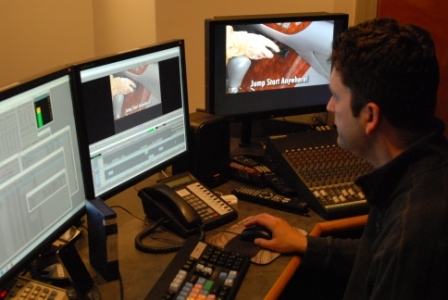 We specialize in Avid non-linear editing and we’re sure we can finish whatever size project you have in our new edit suites. Again, our specialty is using whatever it is you bring to the table and creating something great…within your budget. Our three Avid suites operate at multiple levels, but feature the Avid Media Composer Nitris DX and we can edit in full 1080 HD.